I was recently in touch with a friend in the drug development services industry. He heads up business development for a small research organization. Long story short, his company is at a point of contention about how it can best allocate its sales and marketing budget. His team is down to two options: 1) invest in marketing and developing a brand or 2) hire another salesperson. My friend’s choice is the first option. The rest of the team, however, sees the revenue my friend has generated and says, “Hey, we can double down if we get another salesperson,” so they want the second option. In this context, he meant marketing to mean marketing, branding and advertising — the whole gamut. But coming from his mouth, the words really stuck for me. From his perspective, marketing could cover a lot of the groundwork he’s been replicating. Of course it is. It’s your inanimate salesperson. When it works, it’s your foot in the door before you’ve even knocked. And there’s numbers to back up that assumption. The average B2B customer moves nearly 60 percent of the way through the buying decision-making process before they engage a sales representative1. That’s big. Sixty percent. If you think about the process of reaching, qualifying and converting a lead, 60 percent equals a lot of time. 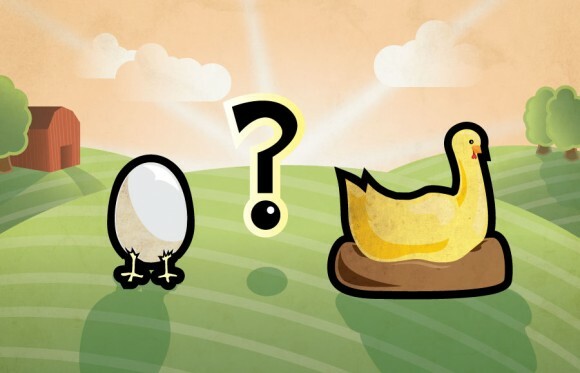 In my friend’s situation, his brand lacks presence for the time being and his team sees the choice between a salesperson or a brand as a chicken-or-egg decision. I can’t help but root for his spend to go toward fleshing out a brand.